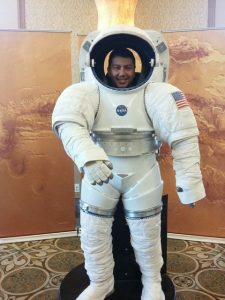 Serkan Gölge, a Turkish-born NASA scientist who was arrested as part of Turkey’s post-coup crackdown against perceived enemies, is now allowed to see the sun only for an hour a day, as he is being kept in pre-trial detention in an Istanbul prison. He is expected to appear in the first hearing of his trial as part of an investigation into the Gülen movement, which the government accuses of masterminding the July 15 coup attempt, on April 17. “His family says Serkan sees the sun just one hour a day. The only way he can communicate with other inmates is shouting to nearby cells. He spends his days praying and counting his prayer-beads. He has lost 25 pounds in prison,” said a recent article in the New York Times about Gölge. Facing up to 15 years in prison, Gölge is accused of being a CIA operative and having carried one of the $1 bills, Turkish prosecutors claim that Fethullah Gülen, a cleric who inspired the movement in the first place, had distributed to his loyal followers. To the date alone, Serkan has spent eight months behind bars; six months of which were in solitary confinement. 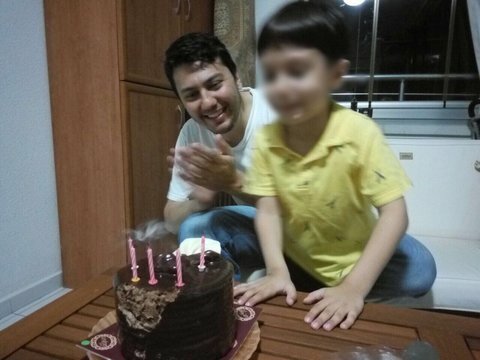 “When Serkan sees his family [visiting his] prison, he usually cries, especially when he looks at his one-year-old son. He tries to get to know his son by asking Kubra questions: ‘Did he grow any teeth?’ ‘Is he crawling?’ He can hold the baby once every two months. Because he is a terror suspect, he has fewer visiting rights than other prisoners. They last saw him on Friday, the day after Serkan’s birthday,” a frank passage from the Times article reads.